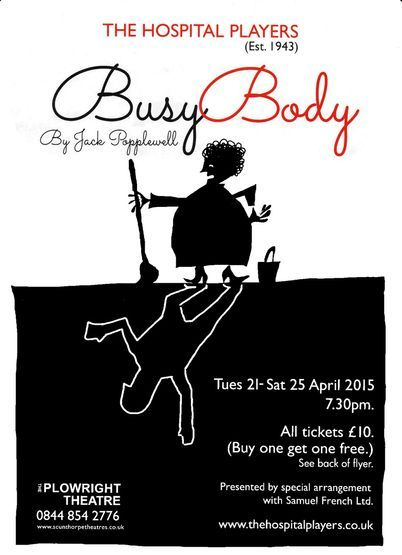 Who is the busybody? Is it the cleaner who sees and knows everything, or the body that keeps busy by repeatedly disappearing? This hilarious comedy murder mystery, where a body and evidence found by the cleaner disappear by the time the police arrive, keeps you laughing and guessing until the end. The police superintendent has been dragged out of his sick bed and is in no mood for the cleaner’s interference/help in solving any crime. So can the superintendent get to the bottom of the mystery, when nobody seems to like the ‘victim,’ and more importantly can he get the cleaner to shut up? 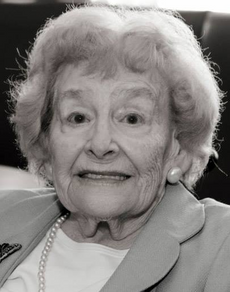 Our President for many years, Joan Brown, died on 9th March 2015. With her, we believe, went the last direct link to The Hospital Players’ origins. The Players, formed in 1943 by under occupied fire-watchers at the Hospital, were still rehearsing in the Hospital basement in 1947 when Joan, newly up from London, joined the society. In 1950, the Drama Federation was formed to promote the idea of a Civic Theatre in Scunthorpe and to start raising funds. Joan was the Players’ representative. She and her fellow activists had the satisfaction of seeing the Theatre (now named the Plowright) open in 1958 with an amateur production of Peer Gynt. Joan’s enthusiasm for the Federation and its objects of linking local groups and Theatre management never wavered. She was involved in most of the Town or inter-group productions and had been the Federation’s treasurer for many years. Joan was very much a theatrical all-rounder – probably best and happiest on stage, but more than willing to be backstage undertaking costumes, properties, lighting, sound or stage management. For all her versatility Joan only directed a handful of productions, all in the 1970s – Blandings Castle, Every Other Evening, Come As You Are and The Prime of Miss Jean Brodie (she was particularly pleased that in Brodie she achieved the essential balance between the dominant schoolmistress and the neglected pupil). It was with some regret that she could not be persuaded to direct more often: she was probably the best qualified member of the society to have done so. One brief tale. In 1974 there was a production by Opera Petite of Lilac Time. 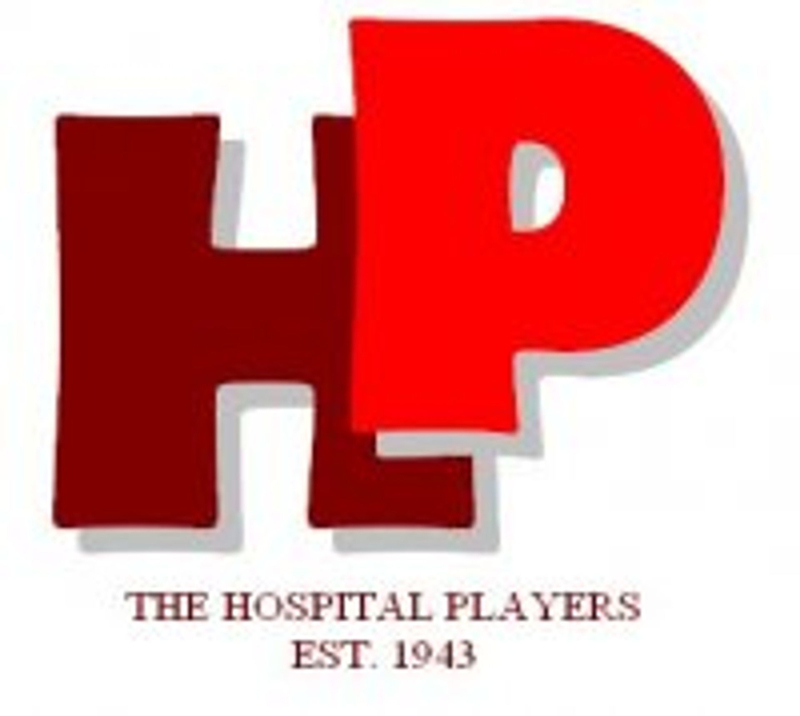 The Hospital Players had built the sets (those were the days!) and provided some of the backstage crew. Joan, guesting for the company, was on stage with a song to sing while standing below a lilac tree. Up above in the flies was a young lad with a bucket of screwed up paper tissue: he was charged with slowly releasing these lilac petals so they floated down among the singers below. All went well until the final performance: maybe the lad got bored, or perhaps he thought it a shame to waste half a bucketful of ‘petals’… what the audience then saw was Adelina engulfed in a blizzard of the petals. Like a trooper Joan continued and finished her song, but coming offstage she was clearly far from happy. Wisely the lad up in the flies didn’t come down for a long time! Not every show left Joan unscathed. On the injury list were an awkward tumble by the Wife of Bath in Canterbury Tales, a foot run over by a scenery truck in Irma la Douce and a painful fall into an inkwell in Papertown Paperchase. Doubtless there were more episodes of suffering in the cause of art! Joan was a stalwart of The Hospital Players for some five decades and in later years she continued to support the society as well as she was able and rarely missed seeing a production. Many will fondly remember the help and assistance she gave newcomers as they started to find their feet on stage. Leaving the Crematorium, the unexpected strains of ‘There’s No Business Like Show Business’ brought smiles to many faces and preceded the most cheerful of ‘wakes’ – appropriately held in the Plowright Theatre bar. Our sympathy goes to Joyce, Kevin, Susan and Allison: we too will greatly miss a loyal friend.